This extraordinary San Diego hotel near the San Diego International Airport is the perfect place to stay on your next vacation, family reunion, or business trip. 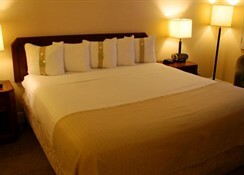 Located across from the harbor, this San Diego airport hotel offers close proximity to many of California's best attractions, including downtown San Diego, the famous San Diego Zoo, Sea World, Convention Center, Petco Park, the Historic Old Town, and Pacific Coast beaches. 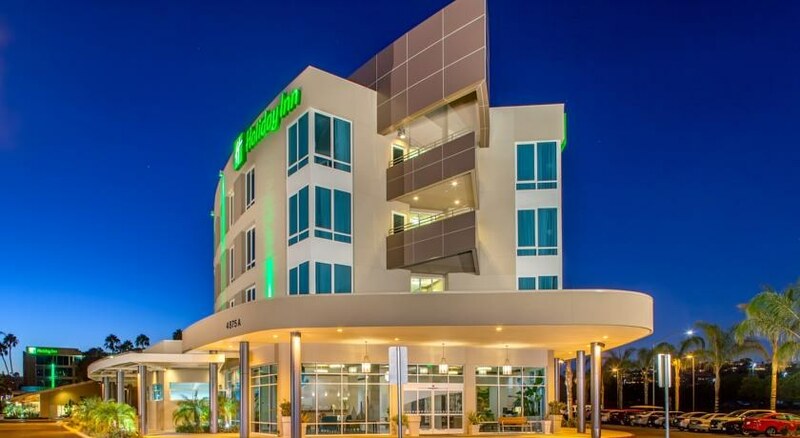 Enjoy a beautiful setting, modern amenities, and complimentary airport transportation at the Holiday Inn San Diego Bayside Hotel. 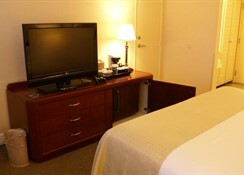 Each of the 235 San Diego hotel rooms and suites are fully equipped with modern amenities for your convenience. 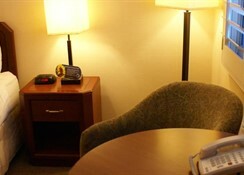 All rooms include a coffee/tea maker, refrigerator, work desk with lamp, data port, iron and ironing board, and hair dryer. 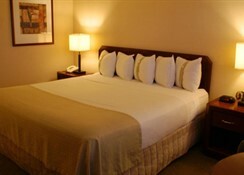 Choose between hotel rooms featuring either one king or two queen beds, or indulge in a spacious San Diego CA hotel suite. Also enjoy a 37" flat screen HDTV's with full cable and HBO, on-command movie rentals, Nintendo games, and complimentary wireless access throughout the entire property. 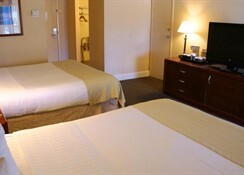 In addition to the great San Diego accommodations, daily newspapers are available Monday through Friday. One child up to the age of 12 may dine for free with each paying adult. Guests are offered a complimentary shuttle bus service to the airport. Bicycles may be borrowed for 2 hours for free.